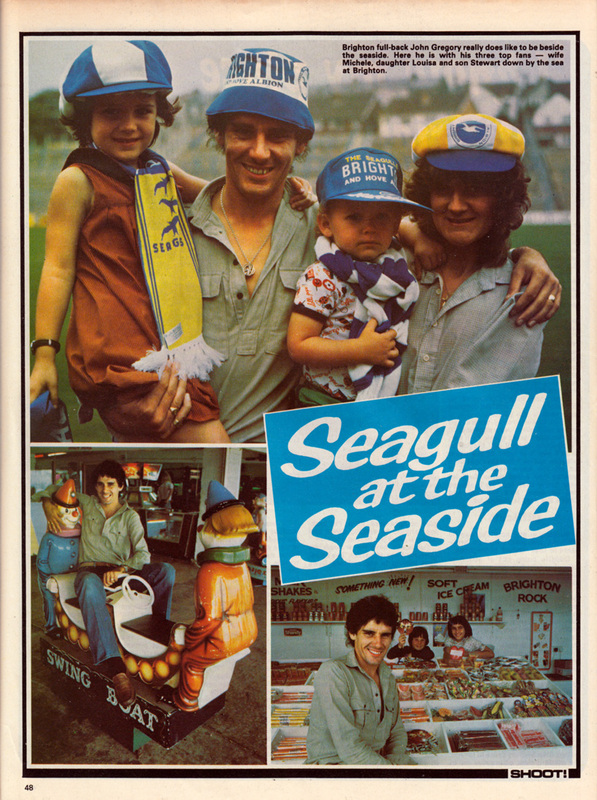 No doubt it’s rather bittersweet to see these pictures of John Gregory clearly enjoying his time at Brighton, especially as many Albion fans do not forgive him for his acts as Aston Villa boss in 1997 for trying to prise Gareth Barry from the cash-strapped Seagulls without having to pay any compensation. In the end, an acrimonious transfer led to Brighton receiving £1 million plus a sell-on clause. 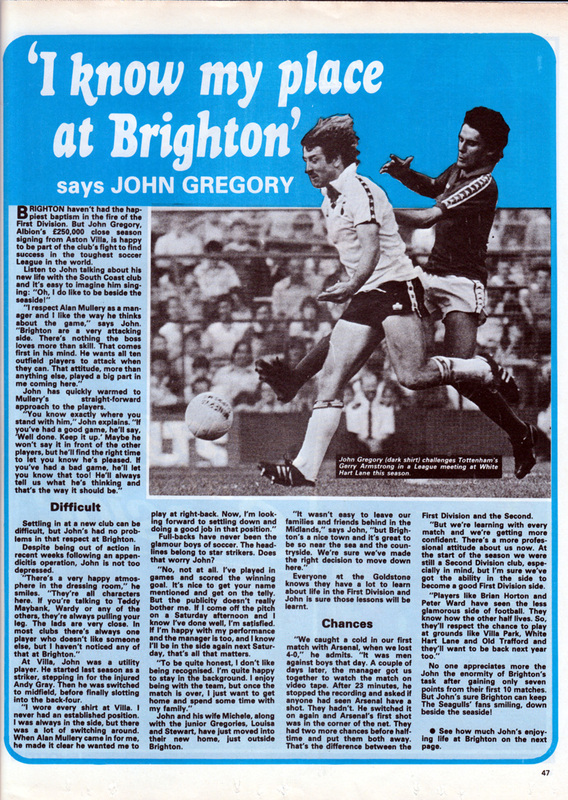 Things were a lot different in 1979 when First Division survival was boosted by the summer signing of John Gregory from Aston Villa. “I wore every shirt at Villa. I never had an established position. I was always in the side, but there was a lot of switching around. When Alan Mullery came in for me, he made it clear he wanted me to play at right-back. Now I’m looking forward to settling down and doing a good job in that position. “We caught a cold in our first match against Arsenal, when we lost 4-0,” he admits. “It was men against boys that day. A couple of days later, the manager got us together to watch the match on video tape. After 23 minutes, he stopped the recording and asked if anyone had seen Arsenal have a shot. They hadn’t. He switched it on again and Arsenal’s first shot shot was in the corner of the net. They had two more chances before half-time and put them both away. That’s the difference between the First Division and the Second. 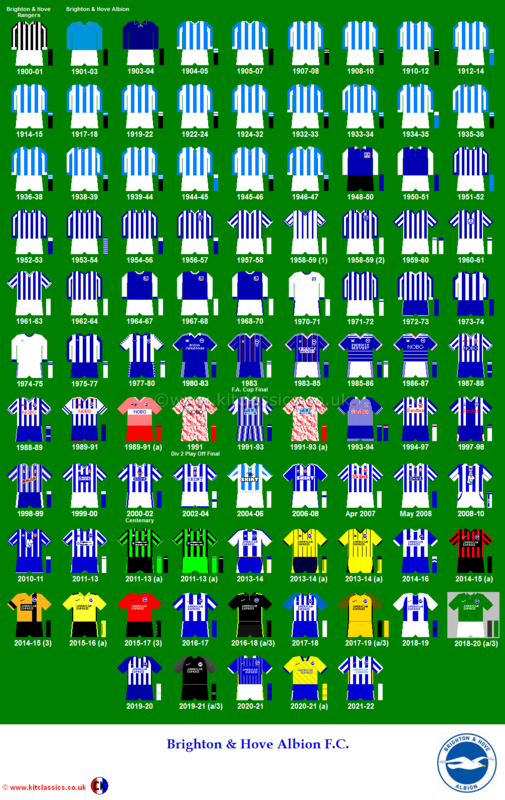 As everyone knows, Brighton appeared in the FA Cup Final in 1983. You may also recall that Gregory got his chance the year before, playing for QPR against Spurs. It is often forgotten that he even hit the crossbar in the replay with a deliciously delicate volleyed lob.